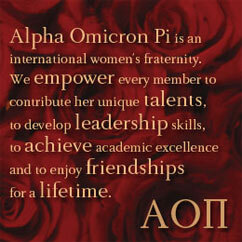 In AOII, there are many ways to stay involved throughout your lifetime. From joining a local alumnae chapter, to volunteer positions, to our alumna initiate program, we encourage and welcome your participation. Alumnae activities include social events, support of local collegiate chapters, and service related endeavors. 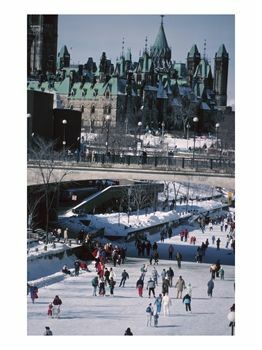 Just a sample of some of the events held by the Ottawa AOII alumnae chapter are the Great Glebe Garage Sale , Ice Skating party on the Rideau Canal, the annual spring luncheon at the Royal Ottawa Golf Club , and many philanthropic events benefitting local philanthropies or the Arthritis Foundation. 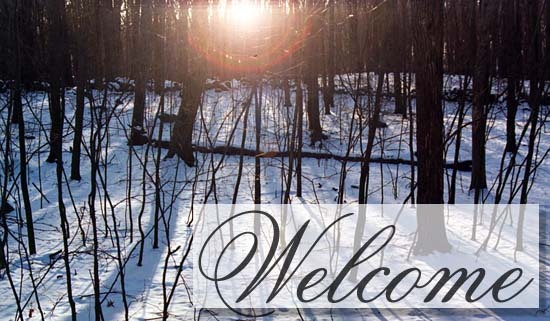 Please complete your membership form on the last page of the newsletter, and send it to Jane Wandell. Our goal is to have Alumnae Membership Recruitment completed before the end of October. Members who join Life Loyal AOII will be exempt for their lifetime from paying the alumnae operating portion (now$16 US or $20 CDN) of the international fees (now $25 US, or $30 CDN) that go to Headquarters, and will receive ToDragma for life. You can find more details about the program at www.lifeloyal.org or by clicking on the Life Loyal icon on the AOIImwebsite at www.alphaomicronpi.org. This is very economical – especially for newer members.